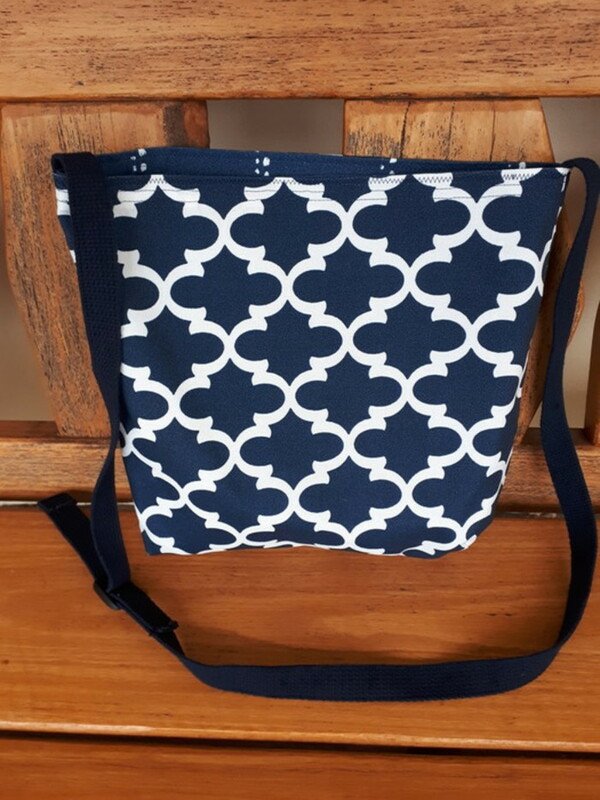 Classic navy and white quatrefoil with navy and white reverse bag made from water resistant outdoor fabric. 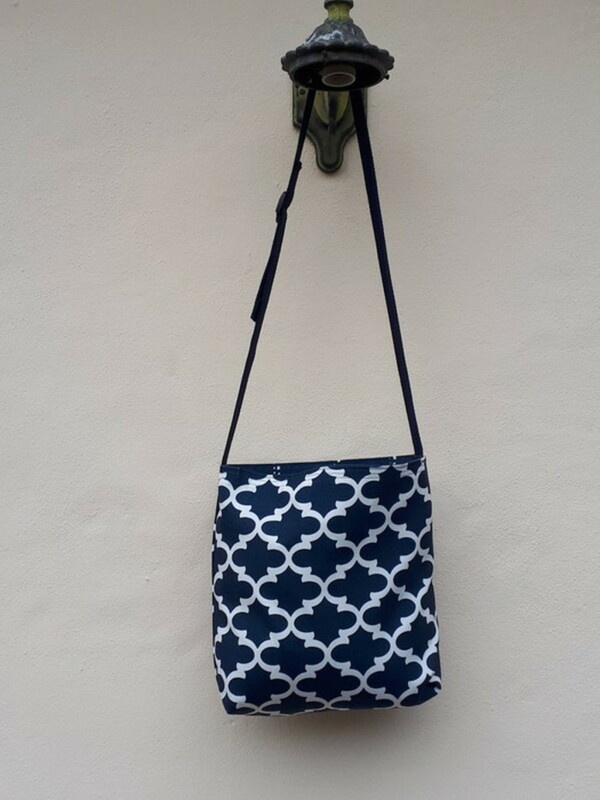 Navy cotton webbing shoulder/cross body strap with black adjuster. Bag has boxed corners and reinforced where strap is attached. 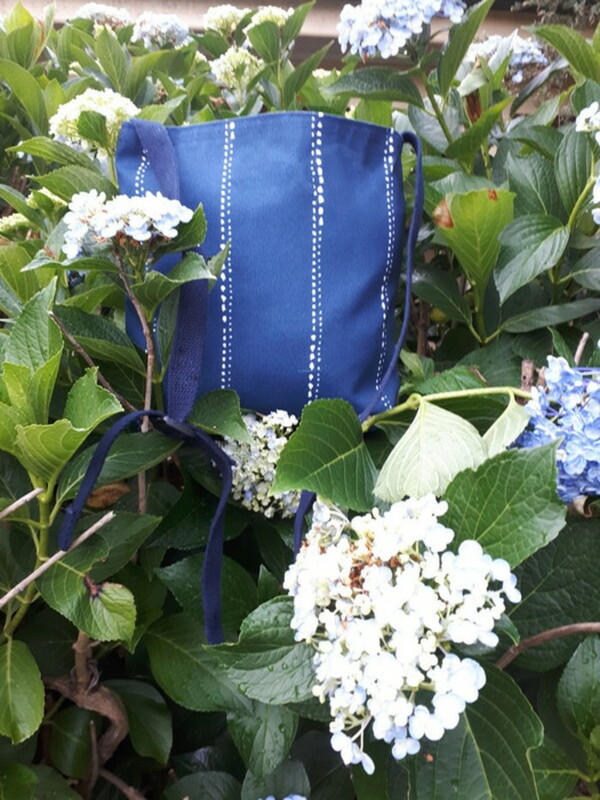 Bag - 100% polyester. Machine washable/Air Dry. 2 bags for the price of 1 !